Marie Curie, known as the 'mother of modern physics', died from aplastic anaemia, a rare condition linked to high levels of exposure to her famed discoveries, the radioactive elements polonium and radium. Curie, the first and only woman to win a Nobel Prize in two different fields (physics and chemistry), furthered the research of French physicist Henri Becquerel, who in 1896 discovered that the element uranium emits rays. Alongside her French physicist husband, Pierre Curie, the brilliant scientific pair discovered a new radioactive element in 1898. The duo named the element polonium, after Poland, Marie’s native country. Still, after more than 100 years, much of Curie’s personal effects including her clothes, furniture, cookbooks, and laboratory notes are still radioactive, author Bill Bryson writes in his book, A Short History of Nearly Everything. 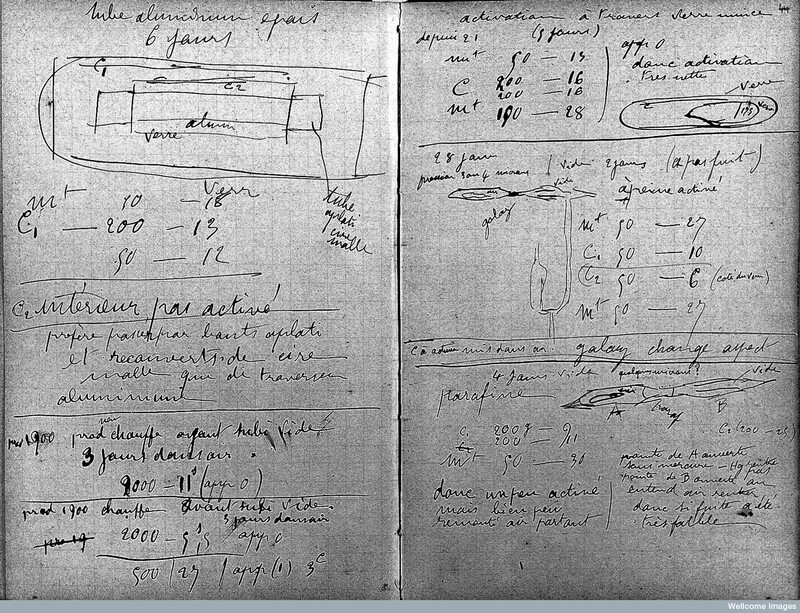 Regarded as national and scientific treasures, Curie’s laboratory notebooks are stored in lead-lined boxes at France’s Bibliotheque National in Paris. While the library grants access to visitors to view Curie’s manuscripts, all guests are expected to sign a liability waiver and wear protective gear as the items are contaminated with radium 226, which has a half life of about 1,600 years, according to Christian Science Monitor. Her body is also radioactive and was therefore placed in a coffin lined with nearly an inch of lead. The Curie’s are buried in France’s Panthéon, a mausoleum in Paris which contains the remains of distinguished French citizens - like philosophers Rousseau and Voltaire.